Are you doing your part in helping to “green” America? We all know the three “R’s” that we should be practicing each and every day – reduce, reuse and recycle – but did you know about the fourth “R”, which helps you accomplish the other three? This “R” will not only cut down on your individual carbon footprint but will also save you money on your green home improvement projects. The fourth “R” stands for rental, the original green industry, and provides the solution to many of your environmentally-friendly building needs. Not only is it a more economical choice, but it is also a greener choice than buying when it comes to your do-it-yourself project equipment needs. “Going green” is a term used to describe being more environmentally conscious in all aspects of your life. The goal of “going green” is to practice behaviors that help reduce your overall carbon footprint, which is a measurement of all greenhouse gases we individually produce. Some people adopt this lifestyle in baby steps; gradually introducing more green products and behaviors into their everyday life. Others adopt it on a much larger scale; replacing a number of harmful products or practices all at once. Either way, the planet benefits! But how does renting fit into a green lifestyle? 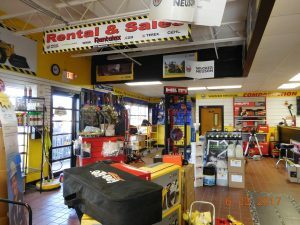 Called the “original green industry”, renting is one of the few businesses that completely encompasses the other three “R’s” – when consumers share products through rental, they are reducing their carbon footprint by reusing equipment that has already been manufactured, and recycling it on to the next person who needs it. Cutting down on waste is one of the main components of going green. This includes reducing the use of non-biodegradable packaging, excess energy consumption and harmful fuel emissions. One of the easiest ways to reduce your waste in all three of these areas is to “share” products that you know you will only be using on occasion. When working on home improvement or DIY projects, you will probably end up needing some tools you don’t have just lying around the house – an aerator, an auger or even a jackhammer. By renting these tools instead of buying new, you are not only reusing equipment, but you are also reducing the manufacturing, packaging and shipping process of new equipment. Sharing equipment also means you will always get the most eco-friendly and energy efficient tools available. 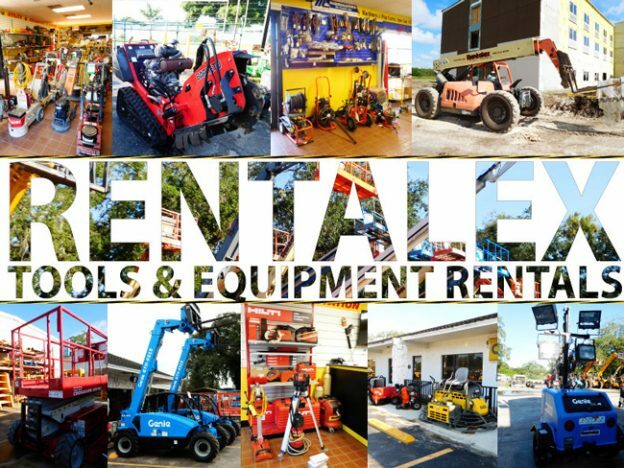 The professionals in the rental industry handle the upkeep and maintenance of the equipment and make sure every tool complies with the latest industry and environmental standards. And unlike many other green investments, renting does not require a huge upfront cost. While many green products come with a larger price tag, with the understanding that they will pay off in the long run, renting is a more economical choice than buying new and will pay off immediately since you don’t have to worry about the storage and upkeep of the equipment. With the money you save by renting, you can invest in more environmentally friendly materials for your home improvement project and reap the cost savings for a lifetime. Whether you’re putting in new windows, installing more energy-efficient appliances or adding solar panels, there are many things you can do to ensure that you are helping the planet at the same time. To cut down on your carbon footprint and improve your energy efficiency, look to rental, the original green industry, to help “greenify” your next home-improvement project.